My friend, San Antonio SCBWI Illustrators Coordinator Akiko White recently tagged me to take part in the Writing Process Blog Tour. It was fun because it got me thinking about how the kind of online journalism I’ve been doing lately is much like the writing I’ve always done as an author-illustrator of three books for upper elementary grades, a free-lance writer and small town newspaper reporter. The questions are the same for everyone, so I’ll get right into them. 1.) What are you working on? I’m writing educational content to stitch together the more than 100 videos I’ve made for my online course on illustrating children’s books, Make Your Marks and Splashes. It feels like writing copy for a very large magazine article — or a big nonfiction book, requiring that same organization and the continual effort of trying to say more with less, which is the writer’s burden and bliss. I’d like to answer this from the perspective of someone who has written nonfiction books for children. In researching and reporting my subjects, I try to create a vivid sensory experience and a feeling of place to try to put the reader inside the situations I’m writing about. I also like to have a a storyline — if I can find it in the material. My reporting experienced has influenced how I write. I try to follow the rules of journalism while also remembering that I want to incite the reader to keep reading, to go on to that second paragraph. So I think that curiosity and suspense are ways to hold a reader (of any age) and also a way to set fire to a reader’s imagination, which helps the reader to identify with a story. In a creative nonfiction story those suspense-creating elements must arise from a foundation of solid reporting. First research and making notes, then interviews, followed by lots of personal observation of locales, if possible and making more notes. Then a few thumbnail outlines, trying to tease out the ‘plot points’ ‘dark moments’ and the climax, if I can find them in the material. Next a rough draft, ‘the sloppy copy’ as they say in elementary school, typed in an inspired burst or a series of inspired bursts over many months. Then editing, untangling all those knots of bad prose fishing line. Simplifying, smoothing out and lots of cutting, until the language feels alive and like it has found its voice for the story. Next up on the tour, author-illustrator and watercolor fine artist Rob Smith who will post next Monday April 7 on his own writing process — writing in words and pictures. Rob is the author-illustrator of the Kindle e-book, Undead Ted as well as the author of the self-paced video course, Buildling EZ Picture Books for Kindle. And author-illustrator Laurie Edwards whose first-in-a-series new YA book, Grace and the Guiltess (Curious Fox – UK) under her nom de plume Erin Johnson has just been published. Three other books in the WANTED series will be coming out in May, August, and December, Laurie says. Laurie’s in the middle of edits on her NA/adult nonfiction book, Cyber Self-Defense, written with cybercrime expert Alexis Moore, which is set to release in October from Globe Pequot. Stay tuned for more details/authors on the Writing Process Blog Tour. It was a treat, as always to visit with children’s book illustrator Patrice Barton. Patty graduated with a B.F.A in Studio Art from the University of Texas at Austin and worked as a graphic designer for the Texas Department of Public Safety and a freelance commercial artist before she decided to focus on children’s book illustration, the art specialty she loved most. She began with assignments from children’s magazines and educational presses. Gradually her client list grew to include major children’s trade publishers — Farrar, Straus and Giroux Books for Young Readers and Scholastic Book Club, in addition to Knopf. Here are some of the takeaways from our discussion last month. She says “yes” to the manuscripts that pull her in emotionally. She passes on assignments where the writing does not affect her. When illustrating a book, she plows into sketches, often working on tracing paper to discover her characters. She’ll place tracing paper over her drawings and sketch on it to build her compositions and scene interactions. Much of this work she’ll throw away. The “keepers” she’ll puzzle out out how to fit into her scene composites. Her process involves trial and error and a lot of drawing before she comes up with the images that (she feels) will do the best job of bringing the page to life. Patty likes to show her editors black and white value studies of her sketches (painted on the computer in Corel Painter) before she works out the story’s visual flow, pace and page turns in a series of experimental dummies of various sizes. When everyone has signed off on her monochromatic sketches she brings her line drawings (that she had scanned into Photoshop into Corel Painter and paints them in color. And she endures with good cheer and good faith the numerous requests from her editors for changes and redo’s that are a fact of life for a professional book illustrator — even one as highly talented and diligent as Patty. Next time on the blog, Patty will walk us through her process of creating the art for the well-reviewed picture book Mine! by Shutta Crum (Knopf) and give us a sneak peek at Rosie Sprout’s Time to Shine by Allison Wortche, which Knopf plans to bring out in December. The InteractBuilder contest deadline for creating your own interactive touch screen e-book for Interact Books has been extended to October 15. Version 2.5 of the free software will be released by the end of August or early September, the developers say. The Austin SCBWI symposium Storytelling in the Digital Age: Embrace the Change set for Saturday, October 8 has opened registration. Among the workshop and panels on the program: Creating and Maintaining Your Web Persona presented by Erik Kuntz, There’s an App for That presented by Amanda Williams, Paper to Pixels: The Art of the Digital Paintbrush presented by Clint Young, Storytelling in the Digital Age: Imagine presented by Ezra Weinstein and Children’s Book Illustrators and Technology presented by the Girllustrators — and really so much more. SCBWI Executive director Lin Oliver will deliver the keynote from California via SKYPE. Her topic: The SCBWI’s recommendations to illustrators and authors on how to evaluate publishers in the digital marketplace. The ground-breaking event at St. Edward’s University will be the place to learn about e-books, interactive books for touch screen devices, iPhone game apps from Austin, Texas developers — as well as to meet and network with them. Registration is only $75 for SCBWI members. You can read more about the symposum here. Check out the course Facebook page, Facebook group and companion blog. Discover a “big secret” of making better drawings. Children’s book author-illustrator Jeff Crosby says he came up with the idea for his funny new picture book, Wiener Wolf (Hyperion) while he was in the shower one day. For a long while after that he asked his wife author-illustrator Shelley Ann Jackson if she would write the story for him so he could paint it. Shelley suggested that he try his own hand at putting just the right words together in just the right order to tell his story. Then he’d be that appealing combination (for some children’s book editors) — an author-illustrator. Jeff’s response was to work up a little pencil sketch dummy that told the story without any words at all. But later his and Shelley’s agent urged him to add at least a few words to his pictures — to appease that segment of the market that believes that picture books are meant to be read. The result is Wiener Wolf about a dachshund who hears the call of the wild and decides that he’ll leave Granny’s home to run with the wolves. 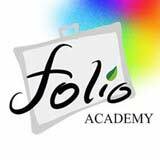 For anyone in the Central Texas area Jeff will teach a University of Texas informal class on illustrating children’s books starting Tuesday, June 28 at 6 p.m. The above video is from a 90 minute interview I did with Jeff and Shelley for students of my online course on children’s book illustration Make Your Splashes-Make Your Marks. You can see a little more from that interview here. And you can see how their four year old daughter Harper responds to her daddy’s picture book below. 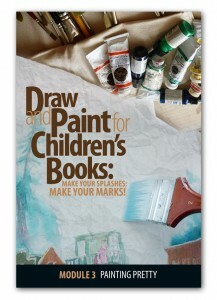 Mark Mitchell hosts this blog and conducts the online course Make Your Splashes – Make Your Marks! 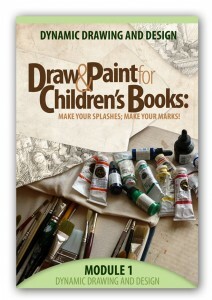 that teaches how to draw and paint for children’s books and other media. “Graphic novels” for little bitty kids? Comics for children age four and up? Not such a preposterous idea. The intuitive narrative form of comics is a whole another kind of reading. Searching words, pictures and panels for clues to events big and small in a story is a more active experience than watching video on a screen. My “great books” education came from Classics Illustrated comics, which I loved. Did they ruin my appetite for dinner? Heck no, I read plenty of real classics later. My readings of the actual Men Against the Sea, The Dark Frigate, King Solomon’s Mines, Frankenstein, David Copperfield, Dr. Jekyll and Mr. Hyde and so many more were only enhanced by my first reading their comic book counterparts. Thank you, Albert Kanter for the great contribution you made to kid culture with the Classic Illustrated series that ran for 30 years beginning in 1941. On that note, Toon Books, produced by Raw Junior, LLC , endeavors to make comics readers of toddlers and tots. And who better to tease little ones with artful pictures and graphics into an early habit of reading than, well, another comic book publisher. And, in this case, someone who is also a New Yorker magazine art director. Françoise Mouly is a veteran of more than 800 New Yorker covers, a mom, and the co-founder and co-editor, with her husband cartoonist Art Spiegelman, of the avant garde comics anthology Raw Graphics. That’s where Spiegelman’s family account of the Holocaust, Maus, A Survivor’s Tale, that later won the Pulitzer Prize, first appeared. It was the first comic book to call itself a graphic novel . Mouly also designed and edited books for Pantheon and Penguin in the late 1980’s and early 1990s. She was helping her first grade son with his reading. she discovered — to her dismay — “beginner reader” texts. She substituted for their home reading sessions her giant collection of French comic books, and that worked like a charm. It got her thinking, and in 2000 she launched the RAW Junior division to publish “literary comics” for kids of all ages. She enlisted star writers, artists and cartoonists such as Maurice Sendak, David Sedaris, Jules Feiffer and Gahan Wilson. In 2008 she started the Toon Books imprint. 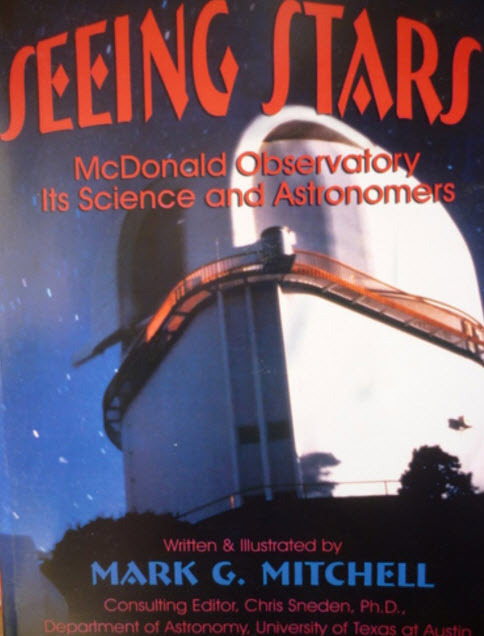 These were 6″ by 9″ hard cover “comics” that very young children could read on their own. “Comics use a broad range of sophisticated devices for communication,” the Toon Books website quotes Barbara Tversky, professor of Psychology at Stanford University and a Toon Books advisor. 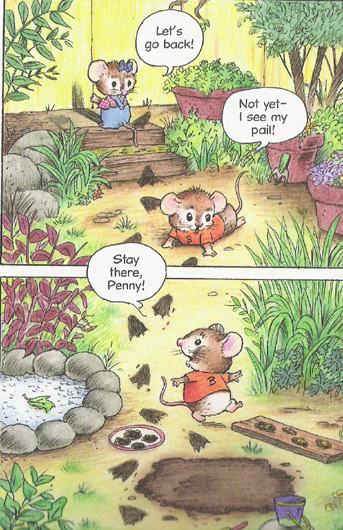 I like the Benny and Penny series by author illustrator Geoffrey Hayes, about sibling mice — a big brother and his little sister and do they ever ring true! In the latest title, The Big No-No, released this Spring, Benny and Penny confront the “new kid” next door. 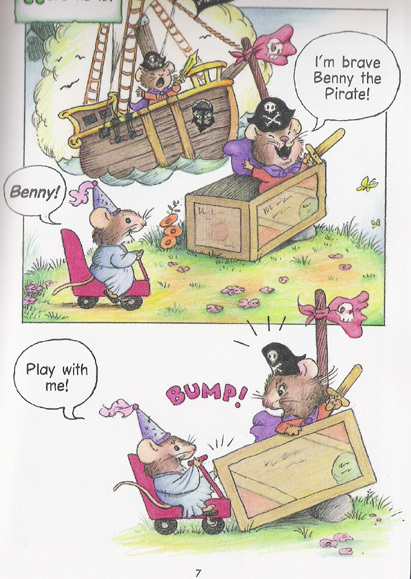 In Just Pretend, Penny threatens to disrupt Benny’s make believe pirate game (because she needs a hug). But they somehow manage to play together. When Penny momentarily disappears in a game of hide and seek, Benny decides that pretending is better with his sister around than not. Hayes has written and illustrated about 40 books, including early readers and a Margaret Wise Brown title, When the Wind Blew. The Big No-No and Just Pretend are gently rendered in colored pencil and beautifully orchestrated and paced. The pages are a joy to experience. The little dialogue balloons are so natural and unobtrusive. The books give you the feeling that you’re eavesdropping on the real conversations of real children. You can read a fascinating interview with Hayes on the Seven Impossible Things Before Breakfast blog. I haven’t yet seen Stinky about a polka-dotted swamp monster whose turf gets invaded by a little boy. It’s creator is a 25 year old rising comics star Eleanor Davis, a recent graduate of the Savannah College of Art and Design. The American Library Association named Stinky its Theodor Seuss Geisel Honor Book for this year. Mark Mitchell hosts “How To Be A Children’s Book Illustrator.” To sample some free lessons from his online course on children’s book illustration, go here. Jon Gnagy was the first artist to draw pictures on television, and I was there! I mean, in front of the TV screen. I may not have been in school yet. “We would both watch him and be spellbound,” my mother tells me. The lessons were simple, though dazzling as magic tricks for the millions of children who watched him. Andy Warhol learned to draw from him, or so he said. “Mr. Gnagy, who was self-taught, was an advertising art director in New York before offering weekly art courses on television in 1946. His NBC-TV program was called ”You Are An Artist.” He switched to CBS-TV in 1950,” reported the New York Times in his obituary. He passed away on March 7, 1981 at the age of 74. A plain-talking midwesterner, the son of Hungarian – Swiss Mennonites, Gnagy did attend some evening classes at the Kansas City Art Institute as a young man. He became a company art director who won prizes for his paintings and poster designs. There’s a wonderful (2006) article about him at the Dali House blog by crackerjack arts writer and journalist Paul Dorsey. I finally became the proud owner of one of these, at the age of six or seven. The kit had gray pastels to go with the black (and white) pastels and charcoal. The gray pastels were for stuff like shadows. That seemed terribly interesting and sophisticated to me. Alas, I lacked the concentration to stay with most of his exercises. His subjects — barns in the woods and vegetable-filled baskets on toolshed tables — seemed a little overwhelming and hard. (I’d never be as good as him.) But, oh, how the thought of those lessons tantalized. Really buckle down this time. Because it’s never too late to ponder the cube, the ball, the cylinder and the cone — ahh, and those marvelous snow shadows. Mark Mitchell, the host of “How To Be A Children’s Book Illustrator” is blogging tonight because he’s so behind in writing Session #12 of his course. Could it have been the book trailer that led to the exciting publishers’ auction for the picture book proposal Toast Friday? Or was it just the exquisite digital and mixed media paintings by illustrator-author and animation concept artist Clint Young. Agents and editors first noticed his portfolio at the annual regional conference of Austin SCBWI that was held last May at the University of Texas Club. There Young met Little, Brown and Company Editor Alvina Ling and agent Erin Murphy who both expressed a strong interest in the project. Over the many months that the work sat at the offices of Little, Brown, Toast portraits began to show up in Young’s art blog, as the former LucasFilm animation concept artist developed and redeveloped his notions and story and talked about his attachment to his character. Young’s agent Erin Murphy put the project up for auction last week and it wasn’t just publishers bidding, but a film studio, The Weinstein Company. In the end, Toast went under contract to Feiwel and Friends, an imprint of Macmillan. Liz Szabla will edit.